Would you be interested in setting aside some beds specifically for older adults? Are you interested in applying for a 100% older adult interim housing facility? If so, please note that a mandatory bidder's conferenceis being held on Wednesday, January 30th at 10am and applications are due on February 27th. PAT & the Steel City Press are looking for older adults who are willing to be interviewed & tell their story – Highlighting the very different realities of "aging in place" in America, and Senior Homelessness in America. The objective is to inspire businesses & entrepreneurs to create products and services for an aging population, and show all the many faces of aging in order to do so. If you serve and/or know older adults who are willing to be interviewed, please let us know so arrangements can be made. Please join us at the Los Angeles County Homeless Initiative Conference on Feb. 7. Lean how you can help senior homelessness through our "Affordable Housing Project"
Homelessness and the availability of affordable housing for older adults is growing to crisis proportions. Too many of our older adult population are losing hope. Veterans who fought for our freedom are often fighting for a place to live, and people with disabilities & those who have faced unintended circumstances & tragedies in their life are unable to afford the rapidly-rising housing costs, and find themselves homeless, or having to live in their car. We can’t let this affordable housing problem spiral out of control, and NIMBYism (not in my backyard) can no longer stand in the way. We must tackle this housing crisis through a comprehensive community-wide solution. No one entity, including government, can solve this problem alone, and its economic & social impact is far-reaching. Are you interested in sharing an extra room in your home? Would you share an accessory dwelling on your property such as a garage conversion? Do you have, or know of land or vacant property that may be available to build a shared affordable housing structure? Are you interested in investing in a REIT (real estate interest trust) and receiving a return on your investment? Will you make a donation to support this project? Will you sponsor the project, or a specific older adult who will benefit from shared affordable housing, in exchange for public recognition of yourself and/or your business? Will you volunteer some time to support the affordable housing action plan? Please provide contact/s (name,company,email,phone) that may be interested in helping. Tell the story & ask for assistance from your family, friends, business colleagues and other organizations. The Foundation has developed a practical action plan & implementation process to provide sustainable solutions to combat the affordable housing crisis, while restoring dignity and respect to our older adult neighbors that are either close to, or already suffering from homelessness. 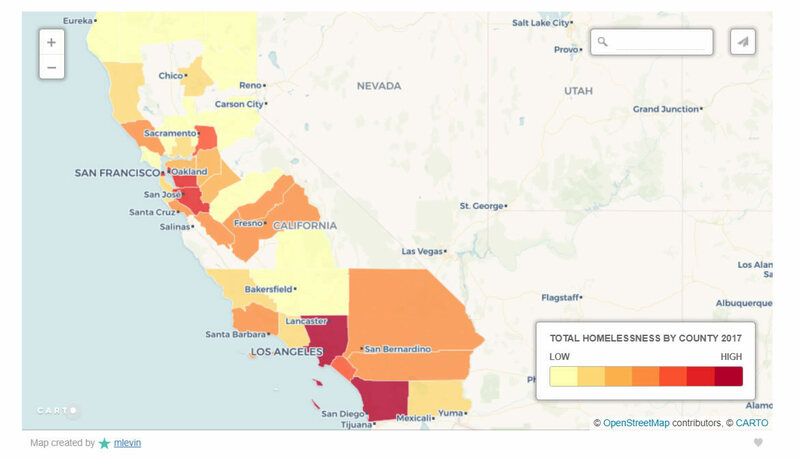 California has the highest percentage of unsheltered homeless individuals in the country, at slightly under 70 percent. 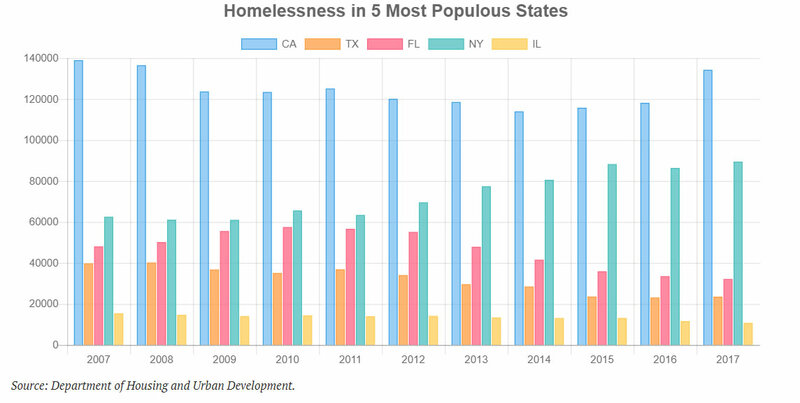 This means that the vast majority of the state’s homeless population does not utilize temporary living arrangements provided by either charitable organizations or government programs. Rather, they have been found living on the streets, parks, or other places not meant for human habitation. In 2017, Los Angeles County had the highest population of homeless individuals in all of California at roughly 55,000, and was only second to New York for holding the largest population of homeless people in the nation. And while 95 percent of New York’s homeless population was sheltered, only 25 percent of those in Los Angeles were sheltered.